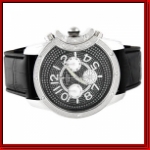 Inspired by the beauty of the latest designer watches. And made with the extreme precision and workmenship for glamouruz.com . -Extremely classy- The numbers are creatively dotted with crystals that are sure to win you all the wows. Avoid the cheap imitations. 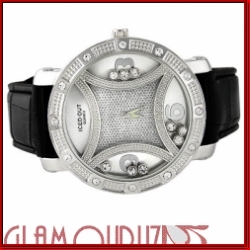 Go for a real genuine watch that uses real genuine Austrian crystals! Look at all the bling and you will know. -Mildly Water Resistant. Not for swimming or showering though. This Product was added to our catalogue on Friday, 02. October 2009.